Perhaps the most appealing full-size family vehicle to show up at the 2016 NAIAS was a new concept from the design team at Kia, called the Telluride. 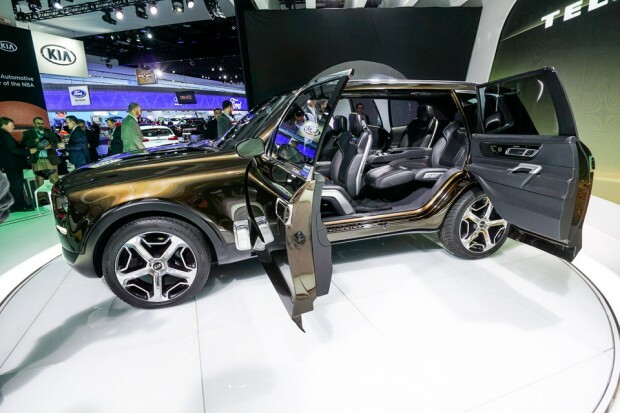 The large SUV offers tons of space, with three rows of seats, and seating for up to seven. 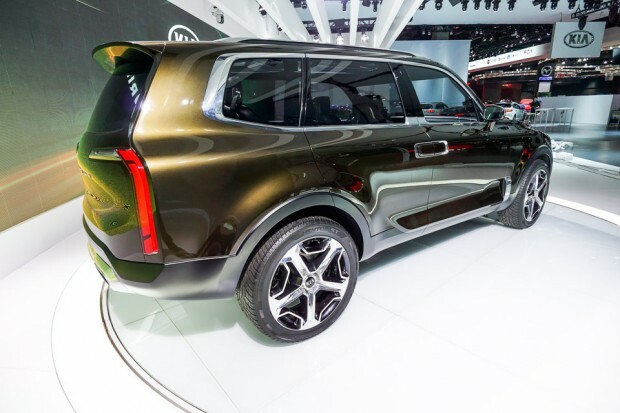 I personally think it’s one of the best looking SUV designs I’ve seen in a while, combining the boxy forms with rounded edges to maximize space, while softening things up with a more modern and sophisticated look. Like most concept cars, it rolls on massive wheels that will likely never be seen in a production version – in this case, they’re 22-inchers. 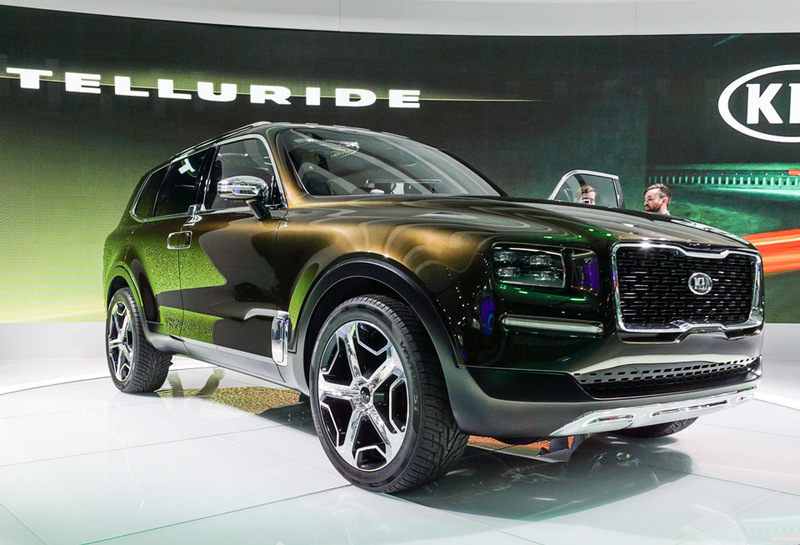 As currently spec’d, the Telluride is powered by a hybrid all-wheel drivetrain that produces a total of 400 hp, with a V6 that makes 270 hp, and an electric motor that adds 130 horses. The cabin has no “B” pillar, instead offering suicide doors to access the rear seat. 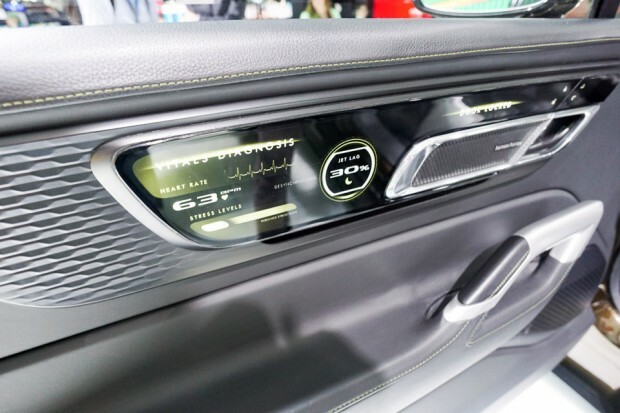 this provides a larger and easier entry and exit for passengers, and just plain looks cool. 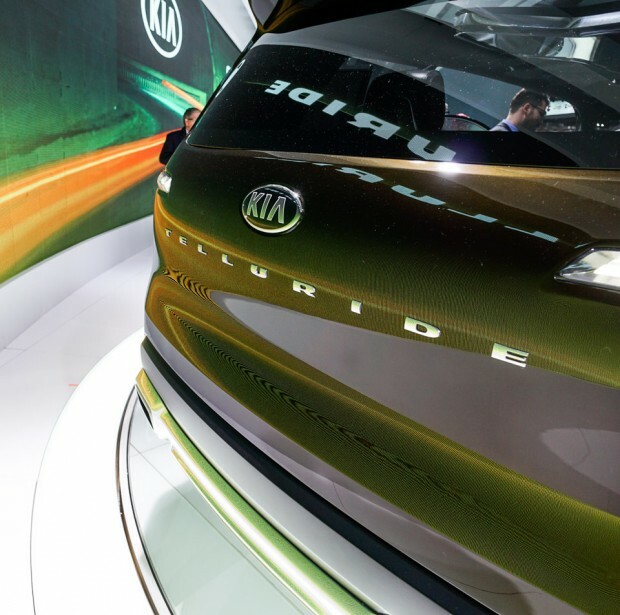 Inside, it’s packed with high-tech screens, and has a system that can even capture and display the vital signs of passengers – presumably to make sure they’re still alive after the car’s luxurious interior lulls them to sleep. 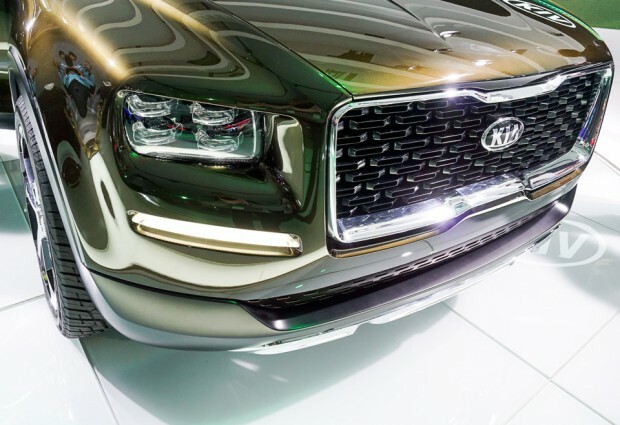 The concept was built on a heavily modified KIA Sorento chassis, but at 70.9-inches tall, 79.1-inches wide and 196.9-inches long, it’s substantially larger and longer than that vehicle. It’s not clear it that’s the platform they’d use if the Telluride goes into production, or if it was just a way to fast track the concept into a usable vehicle. 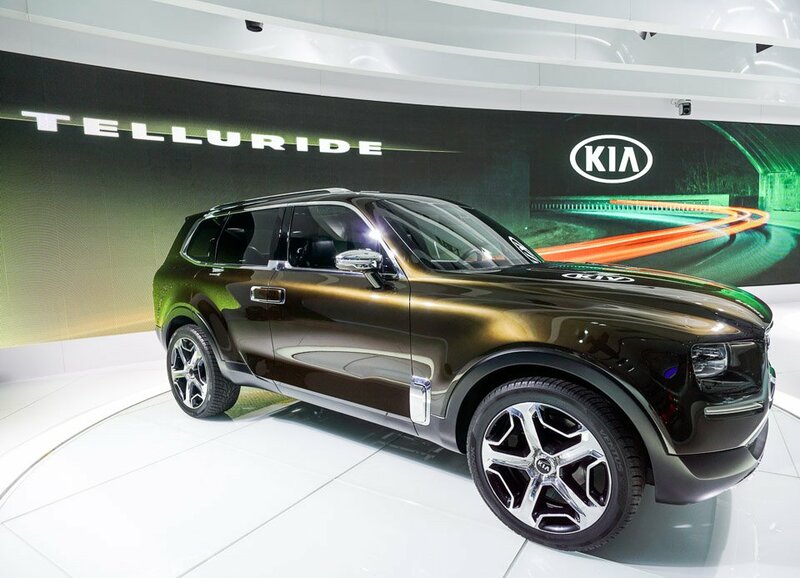 I definitely hope that Kia moves forward with a production version of the Telluride. It looks simply fantastic in its concept form, and Kia could definitely use a full-size SUV in their line-up once again.